The formula for the motorcycle has remained unchanged for maybe a century now, and rightfully so. There are fewer things that compare to traveling down the road completely exposed to the elements and feeling at one with the vehicle you’re traveling on. 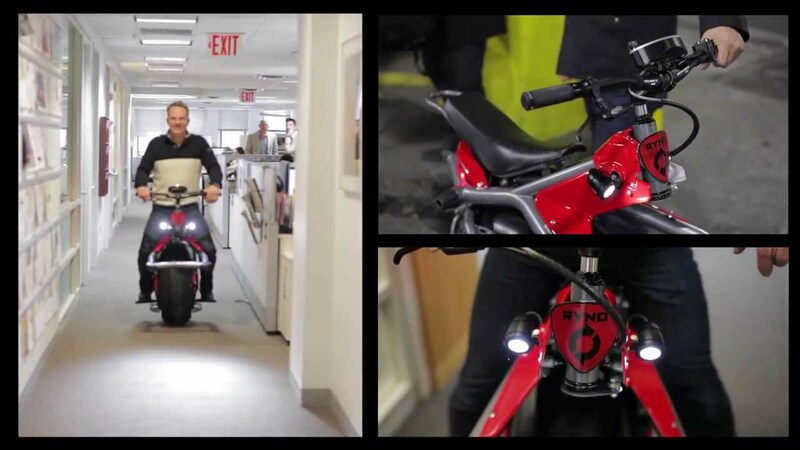 But Chris Hoffman at RYNO Motors decided to change the recipe for the motorcycle of the future. 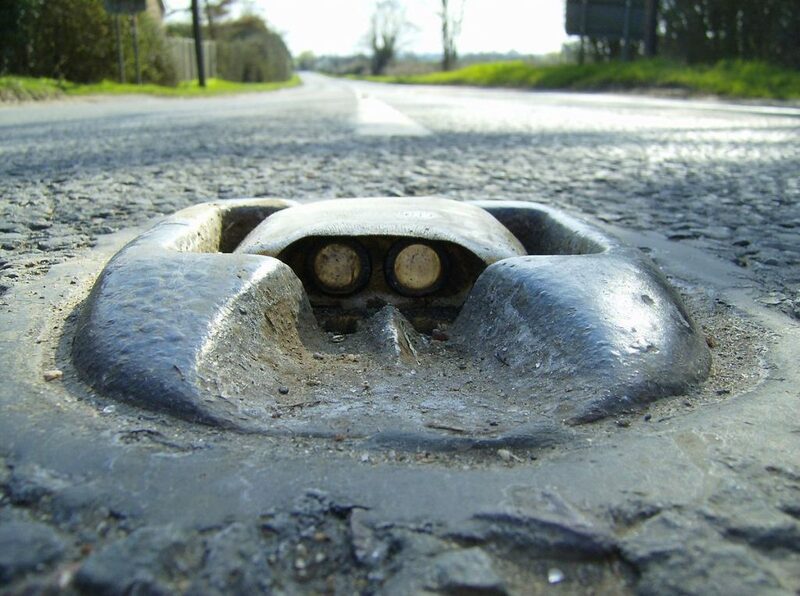 Instead of adding something to the design, Hoffman removed one wheel from the conventional design. 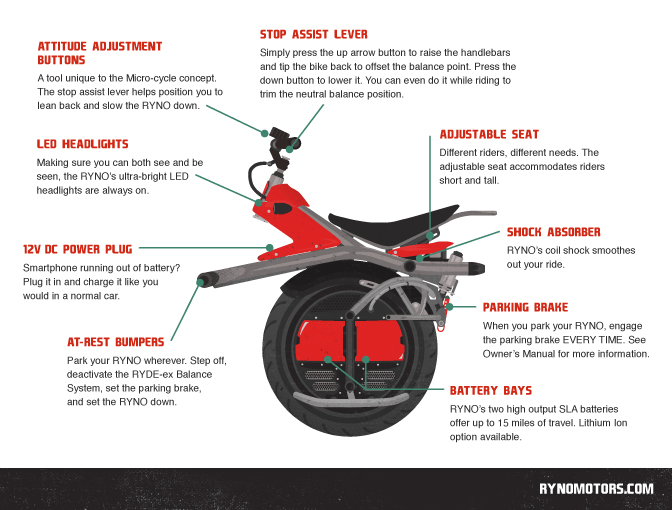 Hoffman’s one-wheeled RYNO motorcycle may be the next great thing in the history of motorcycles. The RYNO is currently a prototype which took seven years to complete and was inspired by a video game that Hoffman’s daughter was playing. 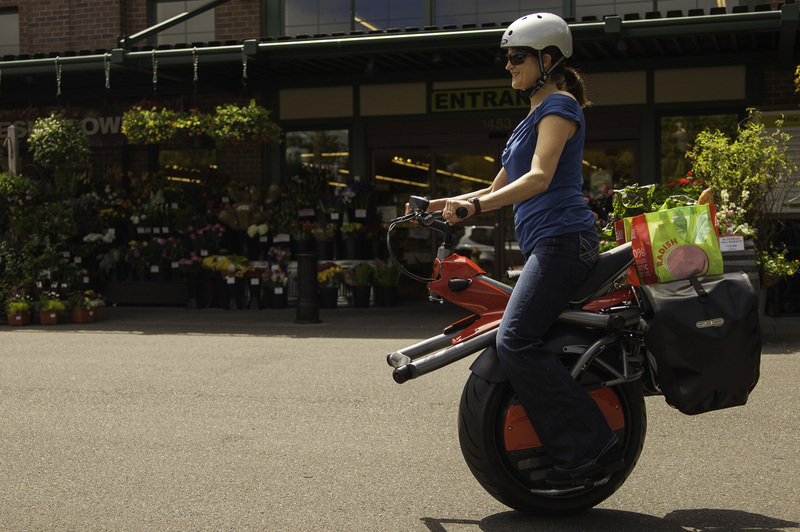 The one-wheeled, zero emissions motorcycle uses technology similar to, but more advanced than, the Segway. 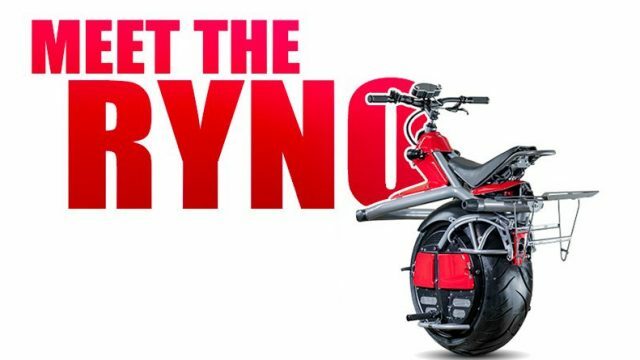 The concept of unicycle itself is not new, but the gyro technology has help RYNO to launch this one of a kind uni-motorcycle if you will. 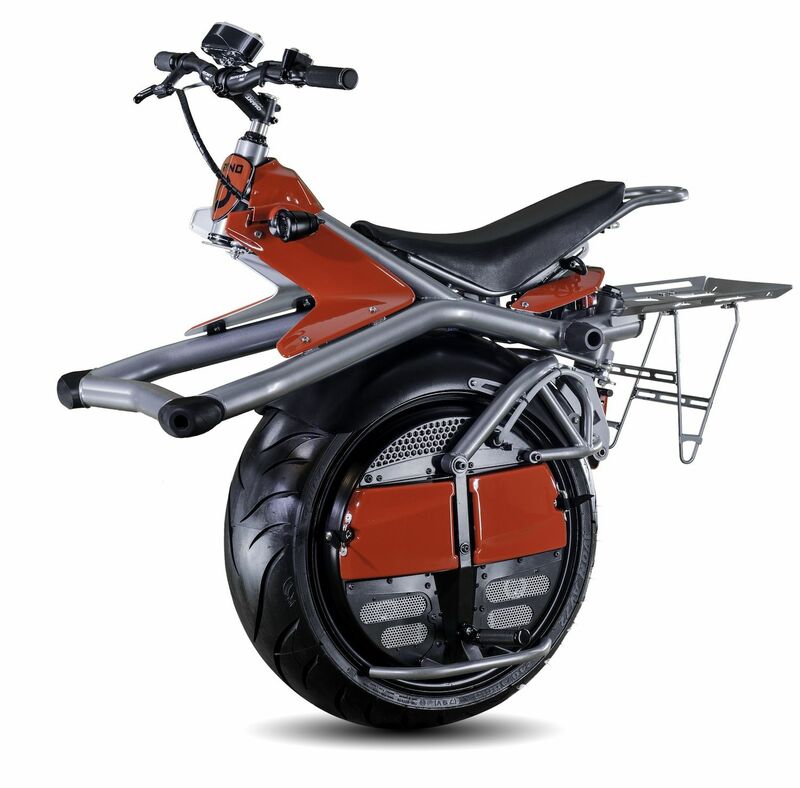 The single-wheeled motorcycle will go into production soon with a price tag of $2,995. The production facility will be based in Portland, Oregon, and Hoffman’s team is aiming to set up dealerships across the US, so potential customers can try the one-wheeled electric bike themselves before buying one.